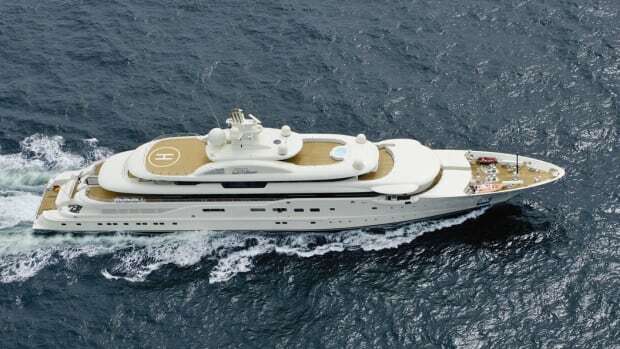 This yacht, formerly project Crystal, is attributed to superyacht builder Lürssen and Monaco-based designer Espen Øino. Alberto Pinto of Paris is said to have designed the interior. 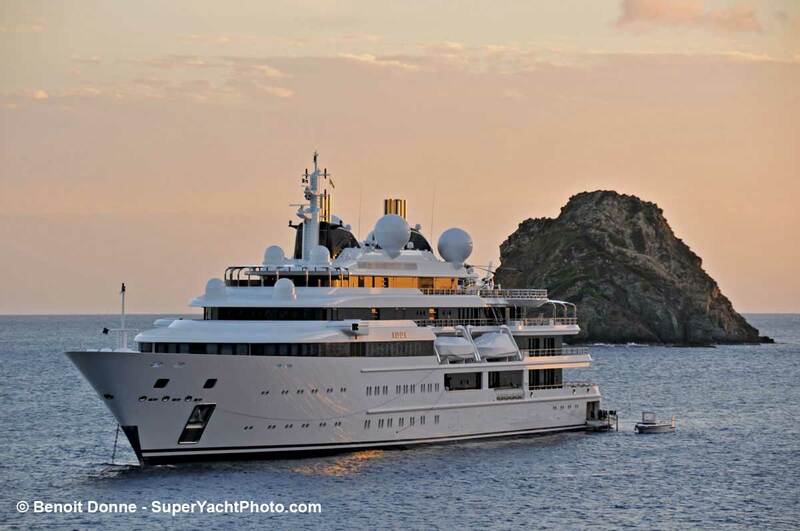 Up to now, very little is known about this yacht, which was launched in secrecy. 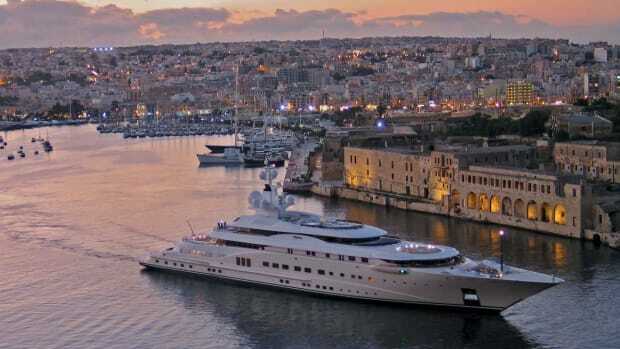 This yacht, formerly project Crystal, is attributed to superyacht builder Lürssen and Monaco-based designer Espen Øino. Alberto Pinto of Paris is said to have designed the interior. 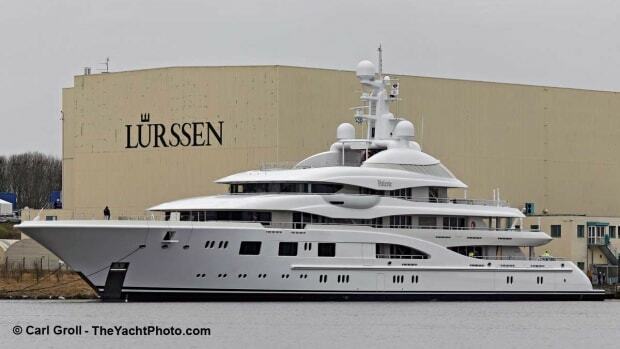 Up to now, very little is known about this yacht, which was launched in secrecy. The steel and aluminum vessel’s name (which also is the name of a newly built cultural center that opened in Qatar in 2010) and flag point to ownership in Qatar. 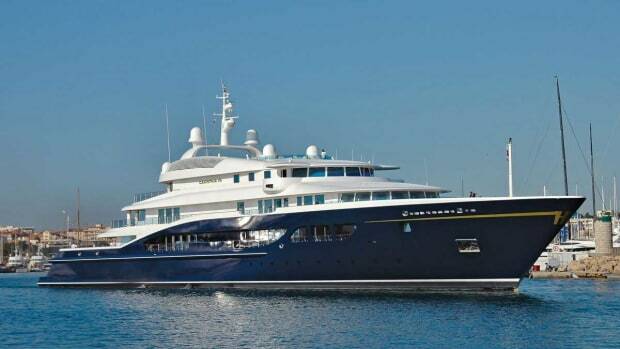 The royal family already owns another Top 100 yacht, Al Mirqab. 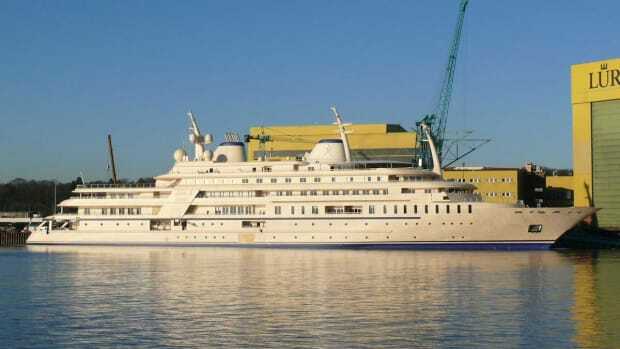 Katara, which already visited the US in 2011, spent several weeks docked at one of the cruiseship’s terminals in Fort Lauderdale’s Port Everglades this past winter, on her way to and from the Caribbean. Her presence was noted in Barbados. 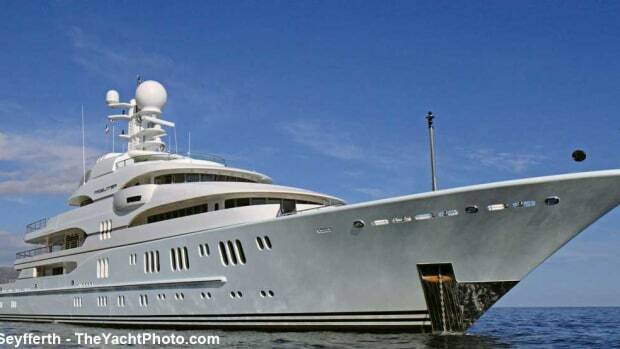 At 7,922 gross tons, she could be mistaken for a small cruiseship, but she is an alluring private yacht with four distinctive radar domes that make her easily recognizable. 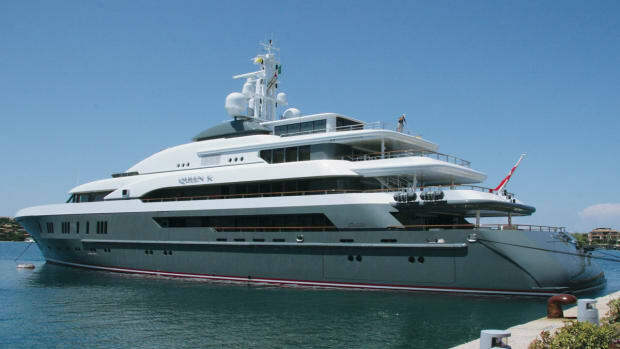 Her tenders are accommodated on the side decks. 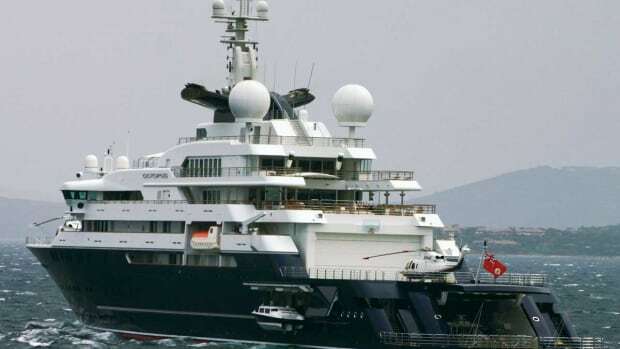 She has a massive superstructure and most of the deck spaces are under cover. 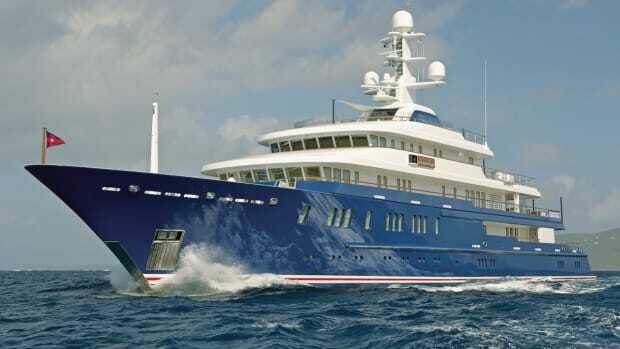 Despite her imposing size, she is speedy with recorded speeds of more than 20 knots.